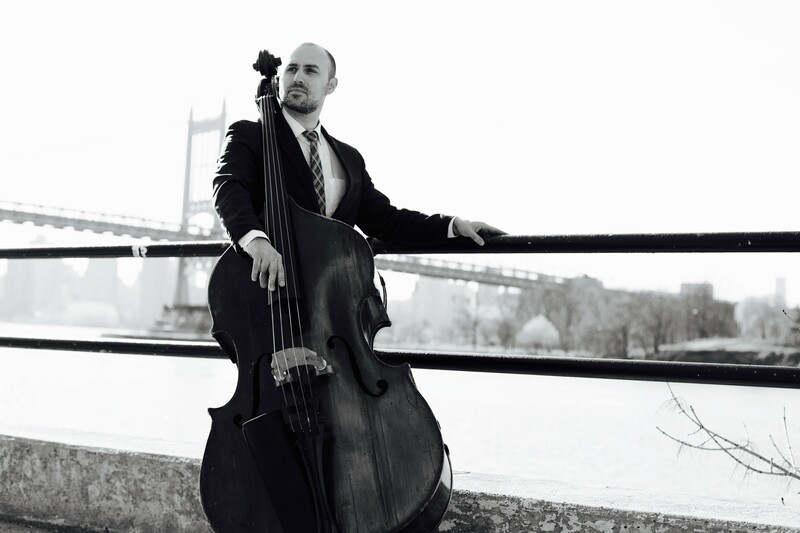 New York bassist Peter Brendler has been a rising figure in the city's jazz mainstream for the past decade or so. He recently released Message in Motion (Posi-Tone), his second album as a leader (not counting a 2013 duo recording with guitarist John Abercrombie, The Angle Below). It's another knockout, working solidly within postbop orthodoxy while pushing against its strictures, thanks largely to the strong players with whom the bassist surrounds himself— and none contribute more powerfully than trumpeter Peter Evans. In fact, it's Evans who pretty much transforms the album from a strong postbop session into a recording that's stunned me—when I listen to it, I alternate between laughing at the trumpeter's nonchalant audacity and falling speechless at his ability to work inside the tradition, leaving it a sere husk in his wake. Evans is an improviser of great technical facility and wild imagination, and during his long stint in the wonderfully arch Mostly Other People Do the Killing he showed off his postbop chops with a gleeful irreverence, alternately playing changes with fiery excitement and turning over the apple cart with full-blown experimentation. He left that band a couple of years ago, and for those hungering to hear him in a more conventional jazz setting, Brendler has been providing it. As he did on his 2014 album Outside the Line, Brendler works with Evans, saxophonist Rich Perry, and drummer Vinnie Sperrazza on the new record; on a handful of tracks the group expands to a quintet with the addition of guitarist Ben Monder. In most cases the leader's compositions are sturdy vehicles for blowing, as you can hear for yourself on album opener "Splayed," where a delicate unison melody flips into a driving shuffle groove, allowing both horn men to chew up the scenery, both individually and in thrilling multilinear improvising. "Angelica" is another brisk number, with an appealingly tart melody inspired by Duke Ellington's small-group work; Brendler cites guitarist John Abercrombie as an inspiration for the ballad "Stunts and Twists," which gets a lush atmosphere from Monder's moody comping. On album closer "Stop Gap" Brendler pays homage to the denatured boogaloo themes popular on Blue Note during the late 50s and early 60s, a genre exercise not terribly far removed from what Evans did in MOPDTK (though Brendler's harmonies and the horn timbre sound thoroughly contemporary). Message in Motion includes two covers: the bassist gets the spotlight on the opening of a trio version of Elliott Smith's "Easy Way Out," where an extended, crystalline guitar solo temporarily but dramatically changes the complexion of the album toward cool, lyrical introspection. Sperrazza deploys a tough march rhythm to kick off the group's take on Alice Coltrane's "Ptah the El Daoud," followed by a Perry solo that channels Coltrane's husband John, but it's Evans who steals the show, crowning Brendler's walking groove with a dazzling adaptation of his own extended techniques—repeating fast-moving phrases till they turn dizzying, playing lines that run up and down the range of his horn with frightening precision and clarity, scalding his exquisite tone with striated dissonance, bringing a nasality that sounds downright saxophonic to other lines, and closing it out with a hilarious guttural blubber and a high-pitched whinny.